Small brands, medium-sized brands, and big brands all have one thing in common: they want to grow. At the end of each year, it’s great to look in the rear mirror and reflect. What went well, what went south, and where are opportunities for improvement? This helps a lot with the planning for the next year. 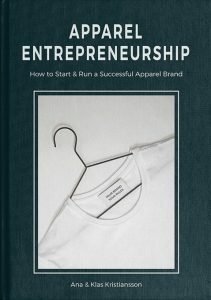 Below is a list of 33 ways to grow an apparel brand divided into 3 sections: Entrepreneurship, Collection & Products, and Marketing & Sales. Addressing all the points at the same time would be extremely ambitious, but even the smallest improvements, can have a huge impact. The best growth is organic, in a smooth pace where the brand culture can remain the same, where the employees can work without burnouts, where the product development remains solid, and the quality is intact. The best growth is controlled. If you are a brand that doesn’t have a fast enough growth, remember that great things take time and as all the entrepreneurs say: It’s a marathon, not a sprint. If you constantly improve every area of your business, the growth will come. Your business core values are like your heart. They guide you in every decision you are making and they are your compass for your brand’s direction. What is your goal and what are you trying to achieve? What is your purpose, your brand’s reason for being? If you have a super clear goal, great! It will make everything easier, from planning to marketing and selling. You know where you’re going, you just need a map to get there. The map is your planning. The most relevant brands in 2018 were the ones that cared and had a cause. If you already are a D2C brand, good. You could look at new ways to increase your reach or explore other channels like pop-up shops for example. Running a D2C brand comes with some ads and influencer costs. But the great thing is that you have full control of your brand and direct communication with your customers, with bigger margins in your pocket. Small or medium-size brands are most of the time understaffed and have too much to do. Investing in software and getting resources to help you scale, can make a huge impact on your business. Automate processes, track things and eliminate the human factor errors. As mentioned above, you and your team have probably too much to do, too little time and are stressed out and overworked. Try Upwork, 99designs, or Canva as external resources to get work done, at a fairly good price, in a short time. You will not be able to do it all and you shouldn’t. Focus on your strengths and delegate or outsource the rest. If everybody in your team works on things that are their expertise, it will be much more efficient and the end result will be better. By backward engineering, you are able to calculate the ultimate margin for all your products. Each and every single product can be engineered for a spot on margin. Of course, it’s a balance in between the right end customer price, value, quality of the product, margins for your business, shipping, and handling. Everything needs to be taken into consideration when you calculate your margin. You should NEVER have a lower margin than 50%. Some styles exist in your collection as icons, eye-catchers, and marketing items. Those styles can have a lower margin than the rest, but you need to make money to reinvest in your business and to be able to grow your brand. 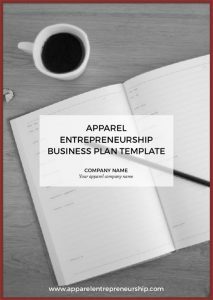 This 33-step list makes it obvious that there are many parts to keep track of in your business. Implement systems, routines, and ways of working that facilitate your growth. If your backend isn’t optimized you’ll waste both time and money that could be spent elsewhere in your business. If numbers aren’t your thing, get someone on board who knows numbers and is passionate about increasing those and growing your business. Make your numbers into a game, to always play to come up on top as much as possible. We have unfortunately seen great brands go bust because the founders didn’t have the numbers a priority. Your products are only as good as your suppliers and manufacturers. When you know your partners, for real, and have a solid partner relationship, it will be much easier to work together, to plan and implement strategies to reach target goals that benefit both parties. In a long-term collaboration, it’s a win-win game. Optimize your supply chain. 10. Get feedback – take it in, what can you improve? Honest, constructive feedback is extremely valuable. When you have a consistent strategy for collecting constructive feedback from your customers and partners there will always be something to improve, to move your business forward and to make sure your customers and partners are happy. Are you using too many suppliers and manufacturers? Could you consolidate and cut that list down severely? When you consolidate partners you have less admin work, you will be able to deepen your relationship, have smoother logistics and of course cut costs for your product development. Some suppliers and manufacturers offer specialty products and services. Using them is, of course, a good thing, but think strategically and don’t streamline away your specialists. Take a look at your partners and see how you can make that lists smaller. Innovation is what keeps you and your products in the forefront. The moment you stop innovating, your business will die. Innovation is important in all areas of your business, not just in products, but in the entire company. Use new technologies, test new materials, go in a new direction with your colors, run events, test new sales strategies, dare to go to areas where no other competitor brands have gone. Innovation should be used thoughtfully. Implementing it everywhere at the same time will turn your business into a mess. Test it out in some areas at a time. If you are a startup, this one is hard to do. Are you a fully functioning, running, growing brand you know what we mean. In every collection, there are styles that will not get many orders or sales. Unless those styles are extremely important for your image or you absolutely believe in those and want them to run till the customers get warmed up for them, you will have styles that don’t perform very well. A recommendation would be to drop those styles, before production. Drop them and don’t make them. Orders and sales are an indication of the market, and what you DON’T want, is a full warehouse with stuff that nobody wants. You can, for example, have a “rule”. If a product gets below 300 orders, you will not produce it. This can also be an incentive to the sales team: if they really want a certain style in the collection, they have to sign off to sell above that target number. Otherwise, the product doesn’t get made. Depending on what your brand is about, if you have a classic and timeless concept or something more trendy, the use of your colors should reflect exactly this. Colors can also be analyzed depending on your sales figures from previous seasons. Keep what has worked, change what hasn’t and tweak colors you believe in. Brands work with colors in different ways. Some change their entire color story each season and some keep portions of the color story and update the rest. A negative thing about changing the color story each season is that you have to clear out your entire stock, meaning selling goods at sale prices, meaning smaller margins for you. Why did some styles work better than others? What sizes sold best to iterate your orders next time? Already after your first orders or sales online you will have some data on what works and what doesn’t. Keep the tracking for a while to have some stability in the figures, analyze, see patterns and iterate your coming collections accordingly. If you run a drops brand and have running drops every month this is extremely important information. You can also use this information in your next bulk production order for the sizes. You will know exactly what size breaks to buy. Before designing each collection, sit down and plan your entire range. See this as a chart or a grid with positions for each style in the collection. Every segment should have a logical price structure, material structure, color structure, and design components. This will make sure that you will have a solid design offer and a planned price structure. With this setup, you will never have to worry that your styles will cannibalize on each other in sales. You already know this, sustainability in this industry is a serious topic, and it’s not gonna fade. If you already have a sustainable brand – fantastic, keep going, tweak it in all areas possible. If you don’t run a sustainable brand, it’s time to get educated and implement it right away. You will not be able to go from 0-100% in one collection but every little bit that you can improve is better than nothing. As a designer, it’s easy to know what YOU want. A more important thing to know is what your customers want. If you have a clear dialogue and an open brand community, it’s easier for you to know what their needs are, and therefore it will be easier to satisfy it with much-wanted products. Don’t overbuy. Rather pay a surcharge to make your quantities than have it sitting in the warehouse. Keeping track on your inventory makes you very conscious of your buying. You need to get rid of old inventory before making new purchases. With the data from your inventory you will also know what to purchase next time and how much to place for a new bulk production order. Remember, stuff on shelves in a warehouse is money sitting on a shelf in a warehouse. Money should be spent on growing your business, not sitting on a shelf. The customer today want to know what’s going on inside the brands. They want to know the behind the scenes, the ups and downs, the struggles and the failures. They want to follow the brand and product journey, get to know the brands on a deeper level, be part of a community, and truly belong. Transparency increases your customers’ trust for your brand. No matter how good your products are, you will always have some people having questions and opinions. We all know how frustrating it is when we are not able to speak to a real human being when we have something we want help with. When customers are helped in a proper humane way, they will be more loyal towards your brand. Don’t know what your social media frequency is, but according to Gary Vaynerchuk, it’s probably not even a fraction of what it should be to stay relevant and be constantly seen. It is for sure overwhelming with all the platforms, but one solution could be to focus on a couple and work hard on those, instead of doing a poor job on many. Pick the social media platform that suits you best and ump up your activity and see what happens. Great brands don’t have customers, they have a community of loyal fans. Authentically engage and interact with your community to keep them coming back and bringing their friends with them. Also known as the Pareto principle, the 80/20 rule states that 80% of the results come from 20% of the effort. You can also apply this to your customers. Work extra with the customers that give you orders, instead of the small ones that give you very small orders and take most of your time to deal with. Work with the RIGHT customers. With the overload of brands, customers are picky and very selective. They are excited about brands that make them feel something. That gives them an experience online and offline. You can implement it in your packaging, in your customer support, in the email newsletters you send, it can be implemented in every touch point with your customers. Make it fun and memorable! Great service is remembered and talked about. Great service is also a rare thing today. If you have it a priority, to give the best service possible, customers will keep coming back, because they know you will be there to help them out, to serve and that you have their interest front and center. With this, we mean verbally. Have your website in as many languages as possible, and have people speaking different languages in customer service to be able to fully support your shoppers. Your customers will feel more “at home” when shopping in their own language. Secondly, we refer to the tone of voice you use in all of your communication. Keep a friendly tone and not the stiff big-corporation-indifferent tone. Customers want to know there are real people behind the brands. Up-selling is when you sell a product that is of a higher value than the original product the customer had intended to buy, and cross-selling is when you bundle products that correlate and sell them together. This is a great way of making sure you are selling more products. You can bundle products together and sell by packages at a slightly reduced price and offer for example free shipping. Also, show other relevant products. The customers feel they get a great deal, and for you, you sell more products. WHAT IS A LINE SHEET & WHY DO YOU NEED ONE? What are your customers and retailers asking you for? Are they asking for other product groups, variations of some existing styles, new product segments etc? Take the information in and see if you can satisfy their needs. Sometimes the request is not aligned with your vision, your business strategy or your logical path, but it’s important to always listen. Your customers will feel very special because of it. Take a close look at your logistics. Are there ways you can have your deliveries faster, or find better options for logistics partners? Is your warehouse optimized for all the deliveries and shipping? And sell to your email list. The emails you collect from day one are your only direct connection with your customers. It’s the only platform that you totally own and where you don’t depend on another companies platform. If Facebook or Instagram, for example, change their algorithm you have no control over what happens to you and your business. Email is still stable, you control what you write and how often you write. Depending on how good you are with your email strategy that’s the sales figures you will get. The best part about email is that you have absolutely NO filter between your brand and your customers. No matter if you are a D2C brand or a traditional wholesaler, today there are many opportunities to widen your distribution and sales channels. Try shop in shop, try pop up shops, try a special collection that is sold only D2C via your online store, try collaborations, try drop selling. This industry is constantly moving and the customers are used to a fast pace. Give them new experiences, surprise them, and grow your customer base at the same time. There are no longer any set rules, there is no longer a handbook of how to exactly go about in this industry. New players on the market are shaking things up and the customers request newness, experiences, and excitement. See where the industry is going, look at other industries for inspiration and try new things. The only sure way of a brand’s death is to do business as you have always done business. New times require new tactics. The opportunities are there for grabs, to those who push the industry forward and dare to implement new ways of running a brand.